:: Simply won’t get enough of this wonderful tune. Rainbow Shark definitely are to be watched! Rainbow Shark are two guys originally from Manchester being currently based in Oxford. 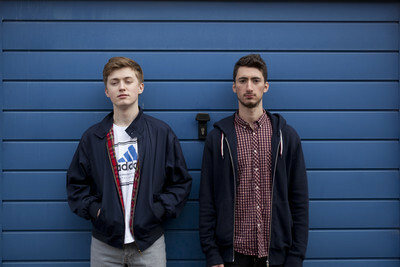 Their self-titled three-track debut EP was released two months ago via Soundcloud. All tracks are written and produced by Rainbow Shark. They recorded and mixed the EP at 80 Hertz Studios in Manchester. There’s not very much information or contact details available about the two musicians behind the band, but we do hope for more very soon! Listen to my favourite track Killer Sharks above and check out the other two below.